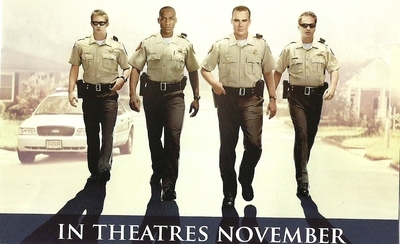 If you find yourself watching crime movies and cop shows, then the new movie Courageous (2011) is a film you should see this November. The movie is centered around four police officers whose job is to serve and protect, but when tragedy strikes close to home, these fathers are faced with problems that will challenge them and ultimately change their lives. Set in Albany, Georgia, the movie is one that all the family can actually relate to, and comes straight from the producers of popular films such as Facing the Giants (2006). Several life lessons can be drawn from the main characters: Adam, Shane, Nathan, David and Javier. Adam is a tough cop that believes that once work is over, it is not his responsibility to take care of the kids. However, he finds himself rocked by a heartbreaking incident that suddenly makes him rethink his priorities. Shane is a father that struggles to provide for his family and be a police officer at the same time. It starts to get worse when he finds himself fighting against temptation as well. Nathan is a police officer from Atlanta who has recently moved back to Albany with his wife and three children. Due to unhappy experiences as a child, he desires to be a better father than his dad ever was (and this is evident very early in the movie). David is a rookie cop who tries to hide his fatherhood and acts quite carefree. But as problems arise, he knows that he must do what's right. Javier is one of the only main characters in the movie who is actually not in the police force, yet he seems to struggle with the same problems of fatherhood as the others. When tough times land on his shoulders, he is forced to make the tough decisions. 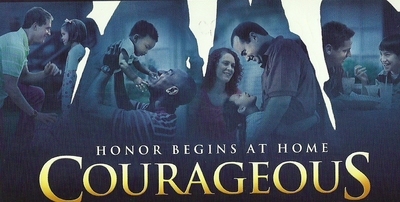 "Honor begins at home", and this is certainly true in this movie. The movie will be screening in selected cinemas in Brisbane, including Hoyts Stafford, Hoyts Sunnybank and Reading Redbank Plains. So why not go and see a movie that will inspire you to be courageous? For more information, please visit the official website or visit your nearest cinema. In cinemas November 10.